I had a new (festive) article published yesterday on the The Conversation, titled: “J.R.R. 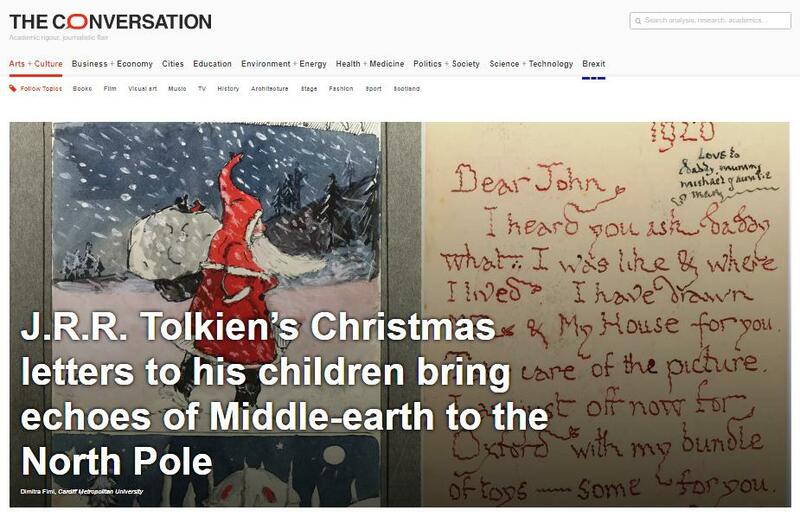 Tolkien’s Christmas letters to his children bring echoes of Middle-earth to the North Pole”. In this article I discuss the letters from Father Christmas Tolkien sent to his children, and the creation of an entire parallel Christmas mythology (alongside his Middle-earth legendarium) which appropriated American popular culture about Santa Claus, but also added new characters, details and even invented languages and scripts! Some of the research that went into this piece is also included in my first monograph, Tolkien, Race and Cultural History (Palgrave Macmillan, 2008).